It's becoming quite apparent now that during the exam period, my escape strategy is eBay. Posting about illuminizers yesterday, I got the itch to try one, too. 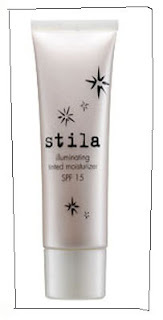 So I bought myself a Stila Illuminating Tinted Moisturizer, in Shade No. 1. See the eBay listing here, selling for USD 9.99 + USD 5.60 postage. I also bought a NARS Night Series Palette. 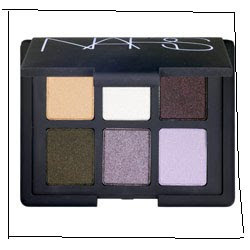 After my post about smoky eyes, I was looking for well pigmented, dark shadows and fell in love with this palette. I am also in the midst of getting more items to give away. These include a set of 7 MAC professional makeup brushes with leather casing, and MAC Hello Kitty Lipglosses - among others. To win these prizes, "Follow" my blog. Click on the "Follow" button on the sidebar to the right, and sign in with practically any account. Also, spread the word! Get more people to join! I can't host the giveaway until I have enough followers!